This morning, as the new academic year begins, I want to try to inspire you, and I’ve decided to draw inspiration from stories about three people. Sadly, all three of these people passed away in 2018, but they lived extraordinary lives. The first story I want to tell is about Sir Roger Bannister. Undoubtedly, he is most famous for what happened on a track in Oxford in May 1954. As an undergraduate and president of the Oxford University Athletics Club, Roger actually helped lay the cinder track a few years before his most famous four laps around it. What many people don’t realise is that when Sir Roger broke the four-minute mile for the first time, he did it only with the help of his friends. In fact, two friends provided the most elite pacemaking squad that could be imagined – Chris Chataway, who later that summer took the 5000 m world record, and Chris Brasher, who won an Olympic gold medal in the steeplechase two years later. Bannister had devised a plan for these two to lead him around the track for the first three of four laps. Banister raced twice more that summer, winning the Commonwealth Games and the European Championships. He then hung up his spikes at his physiological peak at the age of 25; he never competed again. Bannister went on to have a formidable career in medicine. Studying at Oxford and Harvard, and then working in hospitals in London. He specialised in the links between cardiology and neurology, in other words, connections between the heart and the brain. He founded societies, published books, lectured widely and was a well-respected doctor. From Sir Roger Bannister we can learn so many lessons. His most famous accomplishment, breaking the four-minute mile, was done only with the support of two very close friends, who led him 80% of the way. He would not have achieved his great feat without the support of his friends. We should also admire him in another way: sport was important to him, but his academic and professional career took priority. He actually trained minimally as an athlete, often during his lunch break whilst working in hospitals, and retired from running when he was at his physical peak. He had more important work to do: saving lives as a doctor. My second story this morning is that of Prof. Stephen Hawking. He was extraordinary in another realm of science – namely cosmology and physics. For his fellow scientists, his intellect and sense of humour made him exceptional and, coupled with his illness, Prof. Hawking came to symbolise the unbounded possibilities of the human mind. Prof. Hawking once estimated he worked only 1,000 hours during his three undergraduate years at Oxford. In his finals, he was borderline between a first- and second-class degree. In such a case at Oxford, you are interviewed by the examiners to decide which degree to give you (known as a ‘viva’): convinced that he was seen as a difficult student, he told his examiners that if they gave him a first he could move to Cambridge to pursue his PhD. Awarded a second and he might have to stay at Oxford. They opted for a first. At Cambridge, whilst working on his PhD, he was diagnosed with motor neurone disease at the age of 21. Doctors gave him two years to live, and Prof. Hawking then went on to live another half a century. Some say that those who live in the shadow of death are those who live most. And Hawking being told that his death was imminent, became more determined to continue his academic work. With the dark cloud hanging over his future, he enjoyed every day and made steady progress in his work. He said he was not afraid of death, but said “I have so much I want to do first.” And achieve he did. His first breakthrough came when he applied the mathematics of black holes to the universe and showed a singularity, a region of infinite curvature in spacetime, that lay in our distant past: the point from which came the Big Bang. Hawking developed more theories about black holes. 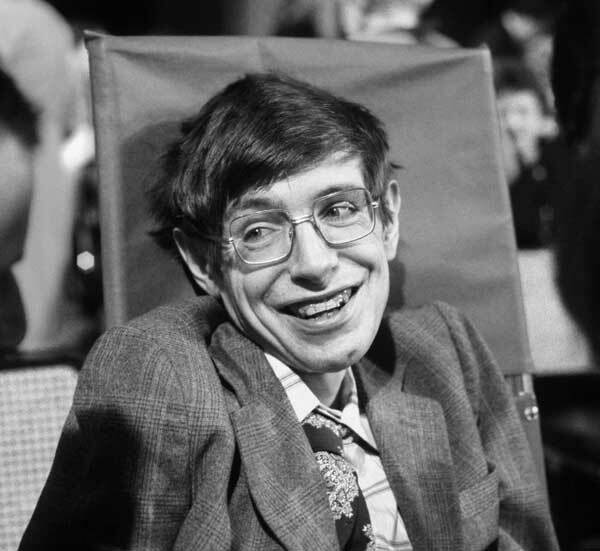 Hawking’s run of radical discoveries led to his election in 1974 to the Royal Society, at the young age of 32. Five years later, he became the Lucasian professor of mathematics at Cambridge, arguably Britain’s most distinguished chair, and a post formerly held by Isaac Newton. As one of his colleagues points out, few of Einstein’s successors did more than Hawking to deepen our insights into gravity, space and time. Hawking’s book, ‘A Brief History of Time’, cemented his stardom globally. Published in 1988, it set a Guinness World Record for staying on the Sunday Times bestsellers list for 237 weeks. It was translated into 40 languages. Professor Hawking was also known for his wicked sense of humour. He resisted being put in a wheelchair, but once he finally was in a wheelchair, and then a motorised one, he became famous for wild driving along the streets of Cambridge, including intentionally running over students’ toes and occasionally spinning his chair on the dancefloor at college balls. Professor Hawking appeared on ‘The Simpsons’, and famously played poker on ‘Star Trek’ against Einstein and Newton. He loved making scientific bets. To me Professor Stephen Hawking is perhaps even more admirable than Sir Roger Bannister. Professor Hawking was blessed with a brilliant mind, but then faced a horrible disease and an almost certain imminent death. When the doctors predicted that he had two years to live, he lived for 55 instead. He learned to speak using a computer that required him to choose one letter at a time, and he wrote his most famous book using a similar programme. His persistence and determination in the face of great challenges is beyond admirable – it is an inspiration. Professor Hawking’s ashes were interred in Westminster Abbey over the summer, near Charles Darwin and Isaac Newton. In a final clever move, Hawking made a play on his inscription, which is a reference to Newton’s own inscription. It reads, ‘here lies what was mortal of Stephen Hawking’. The point is that his mortal remains may lie in an Abbey in London, but his ideas live on forever. Fittingly, his family said after his death, ‘we will miss him forever’. For someone who spent his life fascinated by time, it was a fitting way to say goodbye. The final story I want to tell is about a hometown hero for me: Aretha Franklin. Both Aretha and I were born and raised in Detroit. Like many people from Detroit, Aretha lived a difficult life. Her parents separated when she was six and her mother died when she was ten. The year her mother died, she started to teach herself to play the piano. Around the same time, she started standing on a chair and singing solos in church. She first became famous for singing during Sunday morning services, and the congregation grew as people flocked to see this young sensation. But two months before her 13th birthday, Aretha was already a single mother, and she had a second child by a different father soon after. She was married by the age of 18 but then divorced a few years later after a turbulent marriage, one that included physical abuse in public. Her personal life was fraught, like many famous musicians, and she struggled with depression. She admitted at one point that she was drawn to men, often the wrong men, who were not in love with her but with who she was. Yet she also successfully transmuted her heartache into song, and as one person said at her funeral: ‘I never got to meet her. I never got to tell her that I love her. But I’m here to say goodbye – she saved my life.’ The person went on to say it was Aretha’s music that inspired her to leave an abusive relationship. For this person, and so many others, the songs of Aretha were songs that captured the spirit of hard times. By the age of 24, Aretha signed with Atlantic Records. The year was 1967 and Aretha did an audacious cover of an Otis Redding song that year, ‘Respect’, which reached No. 1 on the Billboard Charts in the US (it reached No. 10 on the UK charts). She transformed this song into a demand for racial and gender equality, and even today it remains a feminist anthem. The song was released in April 1967, and in July, there were horrible race riots in Detroit that left the city in flames and dozens dead. There was a major motion picture last year, called ‘Detroit’, which takes a close look at the riots, 50 years later. The city has never recovered, as most people who could afford to moved to the suburbs, and Detroit eventually became the largest city in the world to declare bankruptcy, with debts of $18 billion. As Detroit reeled after the riots, Aretha’s song ‘Respect’ also became a black power anthem. Aretha herself toured with Martin Luther King Jr, and spent time in prison after participating in protests. Aretha sang at Martin Luther King’s funeral in 1968, capturing the pain of an entire nation in her voice. Despite the setbacks she had in her personal life, she went on to unparalleled success. She won 18 Grammy Awards and was the first woman inducted into the Rock and Roll Hall of Fame. Aretha sang for presidents, including at the inauguration of Barack Obama. 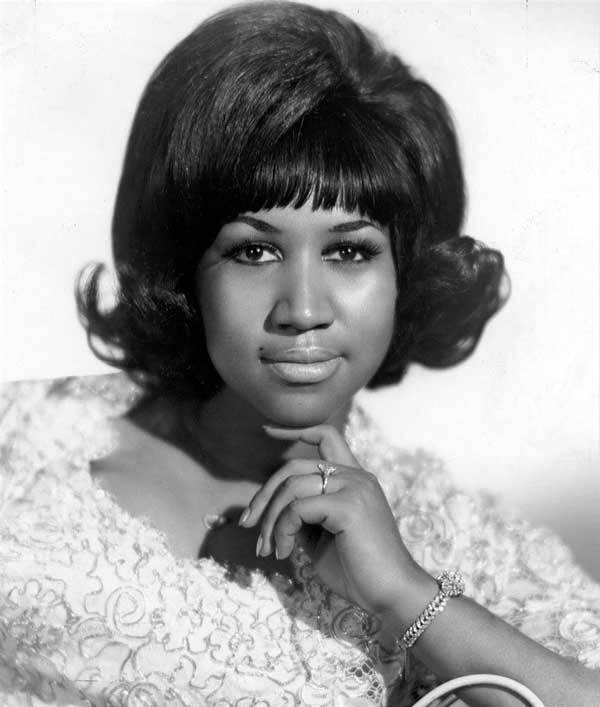 She became known as the Queen of Detroit, but also the Queen of soul music, and for many the voice of black America. Thankfully, whilst we lost Aretha Franklin, she leaves her music behind, and we can all continue to enjoy it. So, three powerful stories. The lessons you can draw from these people are boundless. Sir Roger did the impossible, with a little help from his friends, and then went on to save countless lives. Prof. Hawking fought a difficult physical illness for more than 50 years, changing science forever with his professional contributions, and still making people laugh from his motorised wheelchair. And Aretha Franklin touched the lives of millions through song, despite her own difficult personal life, with difficulties starting very young. These people show us that we can achieve things that scientists say are impossible. We can overcome obstacles and barriers of every type, and still do great things. I think it is good to have heroes and role models – these three great people are some of my heroes. I hope that they inspire you as we start this academic year. And if these three do not, perhaps take a moment this week and think about who does inspire you, and why. It’s a new term, a new academic year and a new opportunity for us all to be our very best. Godspeed.